Following a prolific career as an automobile designer — he was formerly chief designer of Renault — le Quément now shares his wealth of design knowledge and experience to guide projects that have a positive environmental and social impact. During the recent edition of Business of Design Week in Hong Kong, he shared with us his ideas on collaboration, the concepts of frugal and ‘garage’ innovation, and designing circular economies. D/A: How did your career as an automobile designer segue into sustainability and your co-founding the Sustainable Design School? Patrick le Quément: Over my career I’ve been associated with the production of 60 million vehicles, which is an awful lot of cars – if you were to line those cars bumper to bumper, they’d circle the globe 6, 438 times. From very early on in my career, I was conscious of the negative aspects of the industry and of the automobile itself, like congestion, traffic jams, and the health issues that develop far later on. Today we know that pollution — not necessarily car pollution, which only constitutes a portion — causes more deaths than wars, smoking or tuberculosis. When I left the automobile industry, I embarked on two new careers paths, one as a sailboat designer, and the other as a co-founder together with Maurille Larivière and Marc Van Peteghem of an international school focused on sustainability. That’s how the Sustainable Design School started, but it really started long before that with a gradual shift in mindset and then translating that into what I consider to be a positive action. At the SDS I apply so many of the concepts that I used throughout my career in the automobile industry. My role is related to the practice of creativity, of getting people to work in a collaborative manner and using analytical tools like design thinking and frugal innovation. How do these tools and methods present in the projects that the SDS is involved with? 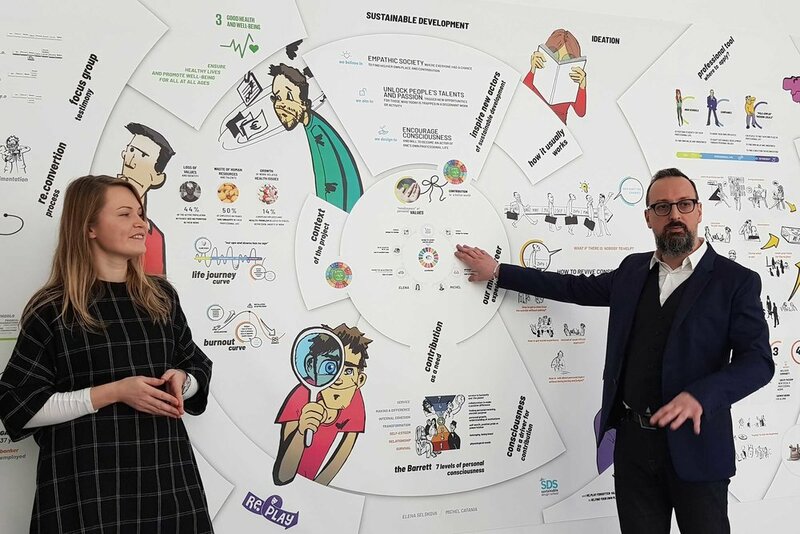 Companies around the world are becoming increasingly concerned with issues of sustainability, and we work with many large international companies who want to involve creative thinking into their solutions. Each semester we do approximately five major projects with various companies, including Schneider Electric, Hermes, Toyota, and Renault in India and Brazil. Toyota sponsored a noteworthy project called Toyota Power; a group of students, a professional designer and an anthropologist travelled to northern Tanzania to engage with the Maasai people. The students spent time with the Maasai to understand how the community was structured socially, and what difficulties and health issues they face. They then identified two areas regarding health that they could work on and find solutions for. The first was related to the Maasai method of cooking. They cook on woodfires inside their homes, and the smoke affects young children and the elderly in particular. They’ve been cooking like this for centuries, so we knew it wasn’t a matter of moving the cooking outside. Instead, we worked on a new clay oven that uses modern physics – combining traditional material with modern design. It’s based on the Seebeck effect, which is the conversion of heat into electricity. Now, heat is generated by woodfire outside of the home and converted into electrical energy that is stored in batteries in the oven handles, so cooking can still be done inside the home. Another invention that came about on that assignment in Tanzania was related to the availability of drinking water. The students designed and made a wonderful device: a 15-metre-tall flower-like wooden structure. Fishing nets are attached to the structure, and because it’s so humid, the water vapour in the air becomes dew on the nets, which then becomes pure water that trickles down and is stored in a semi-sunken tank. 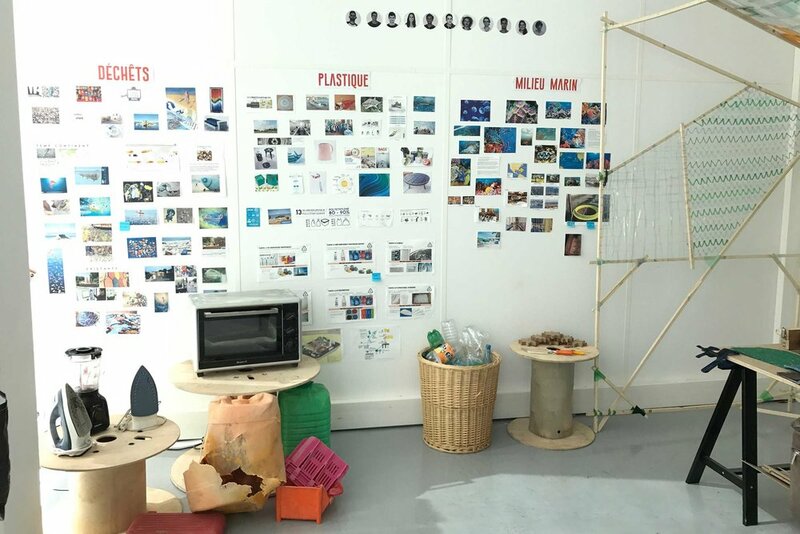 We were involved in another project that tackled plastic pollution, Plastic Odyssey. There are numerous projects internationally working to reduce this overwhelming problem, and rightly so; every minute, 18 tonnes of plastic waste is thrown into the ocean. For this project we worked with a group of Merchant Navy captains. 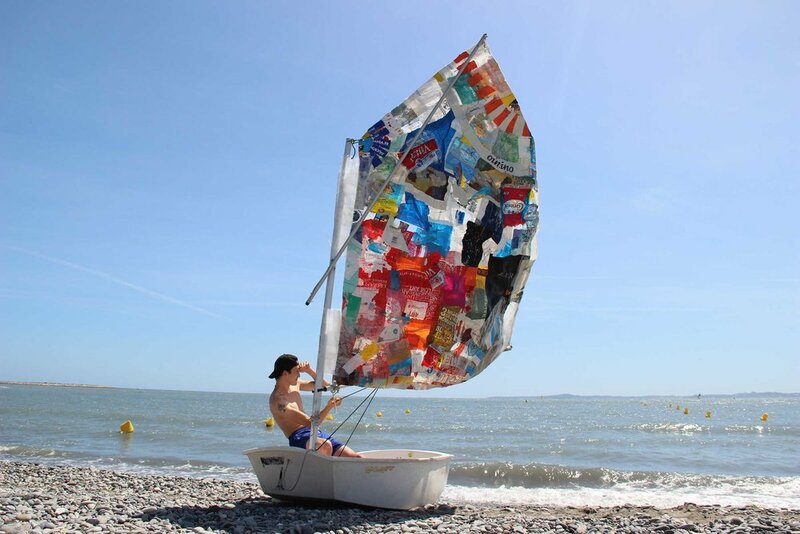 Throughout their travels, they’d seen so much plastic waste in the ocean, from litter to the ‘plastic islands’ called gyres, and they approached us with a project. It involved the creation of a boat (designed by professional architects) that will be powered by petrol made from plastic waste conversion. The transformation of plastic waste into petrol isn’t rocket science, it’s actually very simple and can be done with basic tool. The significance of this project is that it aims to set up circular economies by sharing how to monetise garbage and waste. It will involve a world trip, going from harbour to harbour to set up organisations that encourages people to collect plastic waste in the water or on land, bring it to central points where they’ll be given money for it, and the plastic waste will then be transformed into petrol. As I said, it’s not rocket science. It’s simple solutions, and that’s why we believe so strongly in ‘frugal innovation.’ Navi Radjou, from Pondicherry in India, is a guru on the matter. His book, Jugaad Innovation (co-written with two others) about frugal innovation changed my life. In it, they encourage low-tech development, which is not anti-modernity; it just affirms the enormous wealth of intelligence in what people call ‘garage inventions’. After all, Steve Job started out in a garage! One of the school’s co-founders, Marc Van Peteghem, runs an NGO called Watever. The school was involved on a project with a former member of this NGO, Corentin de Chatelperron, who has now embarked on an around-the-world sailing trip. de Chatelperron brought together a network of garage engineers under the project Nomade des Mers to come up with solutions that would allow him to be autonomous at sea. The point is, working collaboratively can yield incredibly smart yet simple solutions. de Chatelperron himself is a brilliant young man. He went to Bangladesh with Watever, where the NGO planned to build boats to help fisherman recover from a recent natural disaster. On this trip he discovered that Bangladesh was known for jute, and he began to explore the possibilities of mixing jute with fibreglass and using that material to build boats. In Bangladesh, fishermen were vulnerable because the wood used to build their boats was of such poor quality, and he introduced the idea of replacing the wood with jute. He built an eight-metre long boat out of this hybrid material and he sailed it from Bangladesh to in the South of France to prove his idea. That’s one example of Jugaad. It’s not an alternative to progressive science, it’s using science differently. The school’s international programmes span the globe from China to Peru. How do the programmes differ between countries that are industry-oriented or craft-oriented, in terms of sustainability? The Sustainable Design School belongs international association called Cumulus that unites more than a hundred of the world’s best design schools, and many of our international programmes are conducted with those international schools. Of course, there are differences between working with an advanced country like China versus working with Tanzania, for example. And in the case of Tanzania, those projects were in fact a combination of low tech and very high tech (which in this instance came from Toyota). But our low-tech approach is to source locally as much as possible and emphasise that process. In all cases, whether in China or Tanzania, we base our work on the principles of eco design, which means we aren’t only involved in the end results like aesthetics or user-friendliness and so on, but rather we approach it as a circular process. We’re interested in the materials that are dug up, the transportation, the construction, all the way through to the recycling. That, as a principle, remains constant no matter the country’s stage of advancement – the process is always respectful to the country we’re operating within, and the circular economy looks different in each country. The concept of a circular economy is interesting. Design processes can’t take place in a vacuum, so what do you think is an effective way of measuring the sustainability of a process and its outcome? I think measuring the carbon footprint of a product is the surest way to get a sense of the overall impact or how successful a circular economy is. But we've learned over the over the years that there is never an ‘ultimate solution.’ For example, in the automobile industry today, the electrical car has been presented as ‘the solution’, which of course it’s not. It’s only a partial response, and there are some negative factors associated with it. We know that it’s a better alternative, and we also know that other solutions will arise in the future. It’s very important to think about the contribution one can make towards the right direction, even though it might not be 100% optimised yet. I say that because we have very passionate and committed students, and when we began working on Plastic Odyssey, some of them refused to join the project because they thought that manufacturing petrol was at odds with sustainability. But it’s crucial that one can accept the paradoxes that we continually face as designers. It would be great if you could find ‘the ultimate solution’, but it’s already good if you can do even fraction of a good thing. I think we’ll reach a better future through small steps. And so what are developments in sustainable design are you most optimistic about? I think what most impresses me is the rise in awareness. It’s not in the solutions themselves, it’s the fact that people are more and more aware, and that they’re actively responding. Again, take the example of plastic in the ocean. There are so many projects and initiatives to raise awareness and solve the problem, and even ten years ago, there was nothing like these initiatives. And it’s encouraging to see the growing number of students who are committed and who want to do something – young people are becoming conscious and they want to participate. To me, that’s the most important and the most exciting.